Soldier of the Year for fiscal year 2014-15 Pfc. 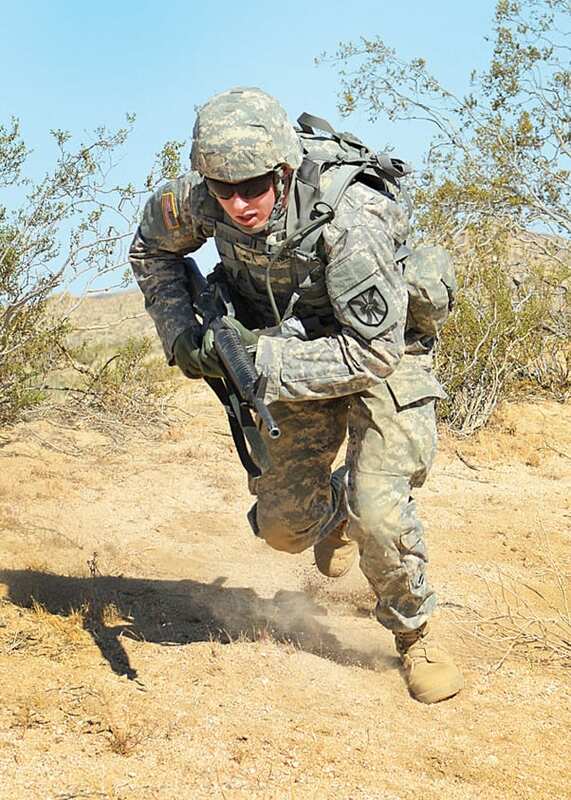 Jonathan Tanner runs during the React to Indirect Fire While Dismounted portion of Army Warrior Task testing, May 19. After a competition amongst four Soldiers and four non-commissioned officers, two were selected as National Training Center and Fort Irwin NCO and Soldier of the Year, May 22. The Soldier of the Year for fiscal year 2014-15 is Pfc. Jonathan Tanner and the NCO of the Year for fiscal year 2014-15 is Sgt. Monik Phan. 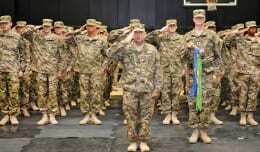 They are both with B Company, 229th Aviation Regiment, 2916th Aviation Battalion, 916th Support Brigade. Tanner – who is an unmanned aircraft systems operator – arrived to the NTC in August and won three boards, including post-level Soldier of the Quarter for the second quarter of fiscal year 2014-15, before taking the top honors. Phan – a Chemical, Biological, Radiological and Nuclear NCO – also won several boards, and was the installation NCO of the Quarter for the third quarter of fiscal year 2014-15. “Sgt. Phan is a dedicated young NCO who strives for excellence and tries to put herself above and beyond other NCOs,” Salinas said. Salinas described Tanner as a new Soldier to the installation and has shown, in a relatively short time, he wants to excel and stand out. The competition included: a field uniform inspection; weapon’s zero and qualification; a day and night land navigation; Warrior Tasks testing; an Army Physical Fitness Test; a written test and essay, and; a formal board appearance in front of several sergeant’s major. Salinas explained that the different events of the competition tested Soldiers and NCOs in the many aspects of being a professional Soldier. 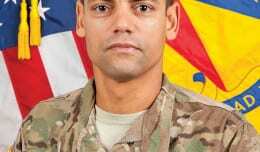 “The NCO and Soldier of the Year competition is very significant, because the Soldiers and NCOs who participated in this event have won several stages of mental and physical tests the last fiscal year,” Salinas said. By winning here, Tanner and Phan are scheduled to compete at United States Army Forces Command in Fort Bragg, N.C., in September, said Salinas. Two runners up – Staff Sgt. Derek Stevenson and Pfc. Page Frazier – will also be preparing. The four will undertake a training program to be developed by their unit first sergeants and command sergeant major. Tanner said the most challenging part of competing was preparing while conducting his regular duties. He received support from his first-line supervisor and others. Phan – the only female contestant – expressed pride in her achievement. She prepared for the competition while supervising six Soldiers in her section. Salinas stated that 916th SPT BDE has a great professional development program for Soldiers, NCOs and commissioned officers. 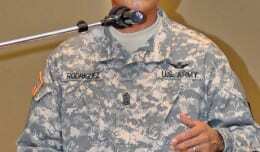 He credits the commander, Col. Mattew Ruedi, and his enlisted advisor, Command Sgt. Maj. Sean Rice.